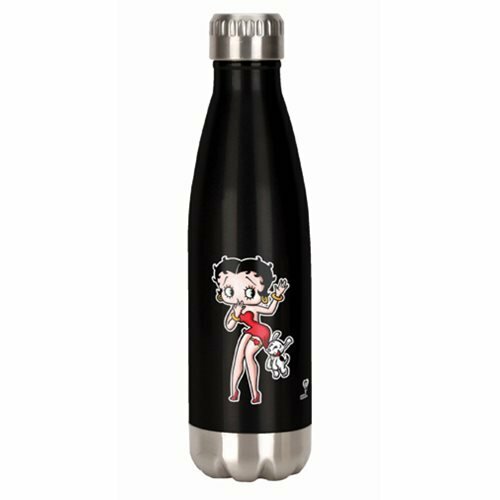 Betty Boop and her adorable pooch Pudgy grace this classy Betty Boop 18 oz. Stainless Steel Water Bottle. It holds 18 ounces and measures approximately 10 1/4-inches tall. Hand wash only. Not dishwasher safe. Do not microwave.